Measuring Regional Authority: A Postfunctionalist Theory of Governance, Volume I (by Liesbet Hooghe, Gary Marks, Arjan H. Schakel, Sandra Chapman Osterkatz, Sara Niedzwiecki, and Sarah Shair-Rosenfield) is the first of five ambitious volumes theorizing the structure of governance above and below the central state. The volume measures and theorizes the formal authority of intermediate or regional general-purpose government in 81 countries. The measure tracks regional authority on an annual basis from 1950 to 2010. The theory explains how scale and community shape the structure of government within and among states. Which groups at which scales have authority to make what kinds of decisions? The Regional Authority Index is an annual measure of the authority of regional governments across ten dimensions: institutional depth, policy scope, fiscal autonomy, borrowing autonomy, representation, law making, executive control, fiscal control, borrowing control, constitutional reform. These ten dimensions constitute two domains of authority: self-rule, or the authority a regional government exerts within its territory; and shared rule, or the authority a regional government or its representatives exerts in the country as a whole. The dataset encompasses subnational government levels with an average population of 150,000 or more. The sample consists of all EU member states, all member states of the Organization for Economic Cooperation and Development (OECD), all Latin American countries, ten countries in Europe beyond the EU and eleven in the Pacific and South-East Asia. 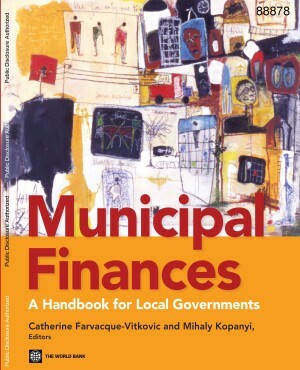 This book is written for those interested in the character, causes, and consequences of governance within the state and for social scientists who take measurement seriously, and has three specific purposes. First, it provides a valid measure of subnational government structure that is sensitive to cross-sectional and temporal variation. The measure conceives subnational governance as a multi-dimensional phenomenon that can take place at multiple scales. The second purpose of the book is to break open subnational government so that others may look inside. A distinctive feature is that the measure takes the individual region as a unit of analysis. The book’s third purpose relates to measurement in general. On the premise that transparency is a fundamental virtue in measurement – a major initiative on the part of the APSA – the authors chart a new path in laying out their theoretical, conceptual, and scoring decisions before the reader. The book provides extensive discussion of conceptualization, operationalization, and measurement decisions; compares the measure with alternative measures; guides the user on how to interpret its application to gray cases; and provides source justification of each coding decision in detailed country profiles.